Singapore has climbed two notches in the recently-published Mercer 2012 Cost of Living survey, making it Southeast Asia’s most expensive city and the third most expensive city in Asia for expatriates after Japanese megacities Tokyo and Osaka. The Lion City shares the sixth place with Zurich and comes hot on the heels of Geneva (5), Moscow (4) and Luanda (2). The survey, which encompasses 214 cities worldwide, is designed to help multinational firms and governments decide on compensation packages for expatriate employees. It measures 200 indicators including food, transport, accommodation, household goods, clothing and entertainment. Analysis by Singapore company registration specialist Rikvin shows other than Swiss cities Geneva and Zurich, no other European city dominates the top ten list. In addition, US cities are absent in Mercer’s top ten and top twenty lists. At the same time, emerging Asian cities Yangon, Shenzhen and Guangzhou, have all risen considerably and are placed within the top 35 positions in Mercer’s list as well. “Being tagged as one of the world’s most expensive city may be counterintuitive to attracting business and gold-collar talent. However, on one level, Singapore’s higher ranking in Mercer’s list can be attributed to precisely its ability to attract foreign investments, businesses and talent. On another level, the ranking reflects a shift in global economic activity,” said Mr. Satish Bakhda, Rikvin’s Head of Operations. 2) Asia’s growth story vis-à-vis sluggish growth in Western economies. All comparisons in the Mercer Cost of Living survey were assessed against a base currency and city i.e. the US dollar and New York City. According to data from the Monetary Authority of Singapore, the Singapore dollar has appreciated against the US dollar between January 2008 and May 2012. In January 2008, the Singapore dollar traded approximately S$1.42:US$1.00. However, in January 2011 through May 2012, it consistently valued higher, averaging S$1.28:US$1.00. The appreciation of the Singapore dollar against the US dollar especially after January 2011 then indicates why the Republic’s cost of living supercedes that of the Big Apple. Furthermore, amidst sluggish economic growth in the United States and Eurozone, entrepreneurs, professionals and investors have looked to high-potential Asian cities such as Singapore, Yangon and Shenzhen to open a company or seize business opportunities. The fact that these cities have moved up the scale and are fast displacing traditionally expensive European or US cities in Mercer’s list reflects that more business activities are gravitating towards them. This phenomenon in turn opens up new consumer markets and pushes up living costs as demand for niche accommodation, transportation and other indicators correspondingly increase. “Following the migration of many business activities to the East and emerging cities, it comes to no surprise then why an economy as open to business as Singapore, has moved up Mercer’s list, beating even Scandinavian cities like Oslo, Copenhagen and Stockholm – all traditionally perceived to be more expensive. Instead of being detrimental to business, we recognize Singapore’s position in the list not only as a reflection of Singapore’s openness to foreign investments and the new reality that Singapore is not a low-cost business location; but also that it is fast becoming an economy driven by value-added activities,” added Mr. Bakhda. 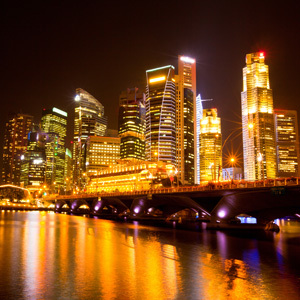 In order to entice entrepreneurs and multinational firms to consider Singapore company formation, the Republic has effected a number of measures to mitigate rising living and business costs. They include attractive Singapore personal income tax rates, corporate tax deductions via the Productivity and Innovation Credit (PIC) program and capability development programs when employers train up or upskill their employees. “While cost is an important factor, it may not be the sole determinant of one’s choice to relocate and work in a said city. Other factors such as safety, healthy business ecosystem, accessibility, creature comforts, recreation, environment and a sound regulatory framework play a role as well. The presence of over 7000 multinational companies, many of which have established headquarters here, is testament to Singapore’s unique role as a business epicenter straddling the East and West,” affirmed Mr. Bakhda.